When you have child addicted to heroin, sometimes there is very little you can actually do about it. Last March, 18 year-old Rachel Meyers overdosed for the final time. Nobody could possibly accuse her father, Scott, of being passive about the situation. He tried drug counseling, but Rachel left. He had her committed into psychiatric care, but against the advice of doctors and medical staff, she bolted. He begged Washington state law enforcement officers to arrest her when they came to her home as she laid unconscious. Sorry, they said, we can’t arrest people or charge them with possession when called to an overdose. Many addicts are truly saveable. The problem is, it can be hard to find a way to get through to them in time. You might think overdosing would not be a problem for Rachel, as she was a seasoned expert in taking opioid pain pills and heroin. Wrong. Over a dozen times she overdosed – indicating maybe the real issue might be that she wanted to die. Just a few weeks earlier Scott tried to have her committed. Unfortunately, the state of Washington does not have an involuntary commitment law for people with drug addictions. One night, while having dinner, Rachel passed out into her food. Upon arrival of the paramedics, Scott lied and told them that Rachel tried to commit suicide. The next day, when Scott called to see how Rachel was doing in the psychiatric unit, he found out she had left the care facility against their advice and with no evaluation. Rachel started smoking pot when she was in the eighth grade. At 14, she was stealing OxyContin from her grandparents. When that stash ran out, she turned to heroin. Rachel had a two-sided resume. One side listed her activities such as band, soccer, volleyball, track, softball, basketball and choir. The other side listed her stealing and shoplifting prowess. They included family heirlooms, checks, iPhones, Xboxes, cameras and money – all of which were used to buy drugs. During my tenure as a federal agent with the Drug Enforcement Administration and in private practice as a private investigator, I had the opportunity to stand in the major opium poppy fields all over the globe. This included Thailand, China, Pakistan, India, Columbia, Mexico, Turkey and Laos. These fields stretch for miles. They are so vast that you could shoot a rifle at one end of the field and that bullet would still land in the opium field. The enormity of this crisis in America is rarely talked about and is mind-boggling to me that it doesn’t receive more attention. In 2014, there were over 25,000 deaths from prescription drugs. There were over 18,000 deaths from prescription opioid pain relievers. There were over 10,000 deaths from heroin. That is a total for just those three of 53,000 deaths. That’s a staggering 145 people a day just in the United States. Given heroin is cheaper than a fancy cup of coffee, those numbers are definitely going to be higher in 2016. As a DEA agent, I have lectured on this subject matter to the law enforcement community in over 60 foreign countries. As a private investigator, I have joined with sports figures and given speeches at high schools, colleges and county run homes for abused and neglected children. 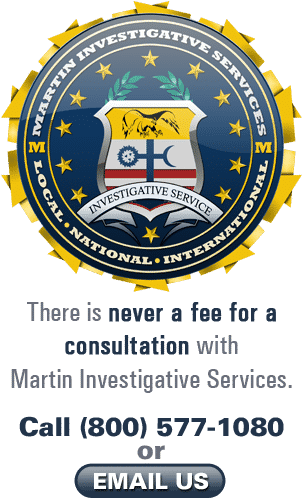 I have done my fair share of radio, television, newsprint media and blogs through my agency, Martin Investigative Services. We have located child runaways, adult missing persons and former military personnel – all hooked on heroin. I have a new book coming out in 2017, published by Rowman & Littlefield. In the book, I argue that the “war” on drugs is a colossal failure. That is hard to say as a former supervisor and management person in the Drug Enforcement Administration. It does seem like we are shoveling the proverbial sand at the ocean. The trends do not appear to be improving, but spiraling in a downward fashion at break-neck speed. An update about Dylan, an abused teen whose teeth were rotting.